Tennis Cube is the most compact Tennis Tutor ® machine available for beginning and intermediate players (NTRP 2.0 – 4.0). Just turn it on, set the ball speed, adjust the elevation if necessary, and you are ready to start practicing. 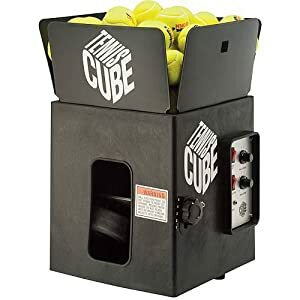 Tennis Cube also includes a random oscillator that automatically throws balls in a sweeping pattern from side to side, so you get a great workout while hitting balls on the run.